It’s not what you think. For those of you who aren’t quite sure, Hemp is the cannabis plant that does not produce a psychoactive effect due to the extremely low THC content (what gets a person high in hemp’s sister plant – Marijuana). It’s perfectly legal to use in the US for foods, personal hygiene and many more things. With this information at hand, we at Fully Rooted could not contribute to this unsustainable practice. Although a very popular and growing trend, Almonds didn’t have to be our nut/seed of choice for alternative milk. We’ve also learned other parts of the Almond story such as the orchards preserving the land and preventing it from becoming a barren desert like much of the other land in California once used as farmland. Even if this is so, the Almond industry is only expanding, as the demand for California Almonds in other parts of the world such as Asia and Europe grows steadily, we could not be a part of that reason for expansion. With the idea of using Hemp, a very sustainably cultivated crop in Canada, came other benefits over Almonds as well. One being that we can keep our facility nut-free. 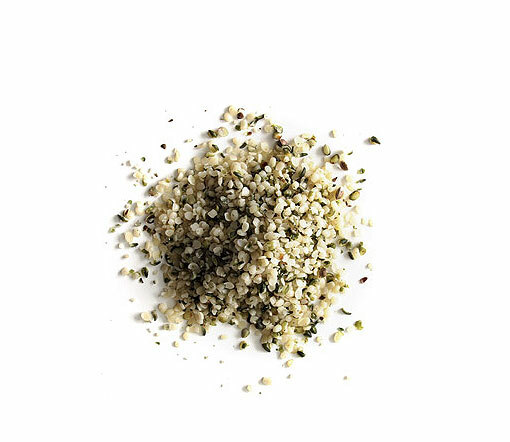 Another being that Hemp provides all 10 Essential Amino Acids. Read about the many others below, which are not all unique to Hemp. Unlike Cow’s Milk, it’s easy for the body to digest. When creating a new product at Fully Rooted, we believe it to be our responsibility to look at each ingredient in a wholistic way to consider it’s affects on our bodies and our environment. Granted, some ingredients will have more of a carbon footprint than others, we are continuing to minimize that footprint through discovering more local sources and forming new recipes with this factor in mind. While Hemp cannot be cultivated locally yet, it doesn’t come from far and the way it’s processed and grown abides by our philosophy more so than other alternatives. We can now offer a low sugar content beverage with high unique nutrients that our juices do not provide. Hemp Mylk will be available for sale mid-June at our local RI Farmers Markets. Smoothie or Juice? WHY NOT BOTH?! Over the years we’ve gotten so many questions and comments from our fans and friends like, “juice doesn’t have the fiber like smoothies do”, “smoothies can replace a meal, but a juice can’t”, and ultimately, “what is the difference between a smoothie and a juice?”. Well, there is a BIG difference between the two, which is why we are so excited to combine them into one delicious, hearty, healthy, life-changing beverage that can replace a meal or supplement your daily meals! First off, let’s distinguish the difference between a smoothie and a juice. Smoothies contain all of your favorite fruits, vegetables, nut butters, etc. with the base typically being water and/or milks. Added ice will thicken it up and also give it that COLD and “slushy” consistency, making it more enjoyable and tasty especially on a hot day. A smoothie usually contains upwards of 300-600 calories (give or take), depending on how much or how little ingredients you put in. That being said, they can definitely replace a meal (most popularly breakfast) and still provide you with more than enough nutrients in one glass. A smoothie contains all of the dietary and soluble fiber that is naturally in the food you eat. Basically, instead of eating your food, you’re drinking it. A juice, on the other hand (and we’re talking about the cold-pressed kind) is a plethora of your favorite fruits and vegetables (preferably ones that would be tasty when combined with one another) grinded up and pressed to yield the most delicious, healthy, cell-buzzing nectar you ever did have! This can be done through various household cold-pressed juicers like the Omega Vert HD350, or by visiting your favorite local juicer. We, for example, also offer Home Delivery, like the milk man ?. So, there are many ways to get your hands on this “fountain-of-youth” stuff. The biggest (and mainly the only) difference between a juice and a smoothie is the absence of the dietary fiber in the juice. All of the “pulp” is extracted and separated from the fruits and vegetables during the juicing process. It is at the stage of this process in which we donate this (still nutritious) “pulp waste” to local farms to use as feed for their wonderful animals. This process eliminates the dietary fiber, but the juice is still loaded with all the natural soluble fiber and the benefits. Additionally, just like a smoothie, a juice can absolutely replace a meal or supplement your daily meals. Just keep in mind that a glass of cold-pressed juice does not contain the caloric intake of, let’s say, a smoothie, or a full meal. This sounds great for the weight-conscious eater, but be smart and supplement with juice the healthiest way. 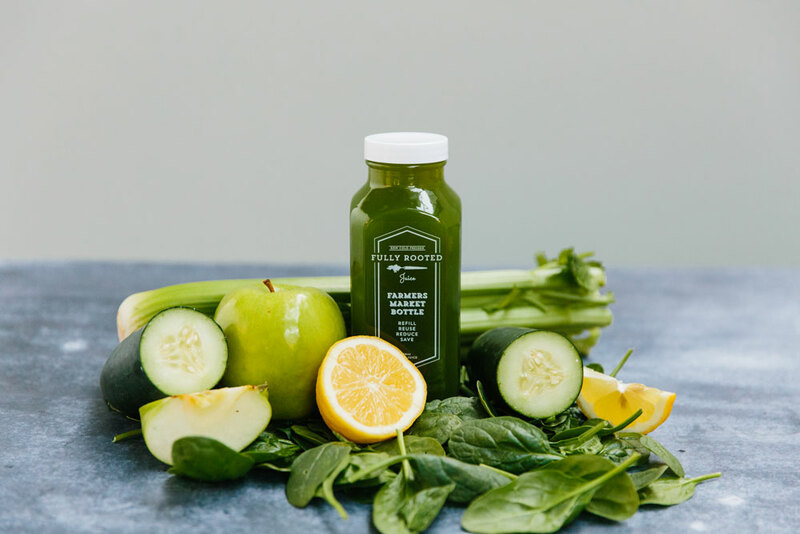 Meaning, load up your system with the most powerful vitamins and minerals contained in cold-pressed juices while eating your standard meals, and then restore and detox with the occasional juice cleanse program (ask us more about that!). Your body will never be happier! So, you can see that there are obvious differences between the two, but both are essential to healthy living. We, personally, incorporate both juice and smoothies into our daily lives. However, we can promise you that with the combination of both, juice and smoothie, your life will never be the same! Instead of using water or milk as the base of your smoothie, dump in 12-16 oz of your favorite Fully Rooted juice. Next, blast in a bunch of the most colorful fruits and veggies you have. Top it off with a handful of ice, and WHA-LA! You have yourself a kick !#% glass of energetic, immune-boosting, muscle-strengthening, heart-pumping, cell-buzzing beverage, that you will have to hide from your family and friends! Your Health Is Now. Don’t Wait Any Longer. 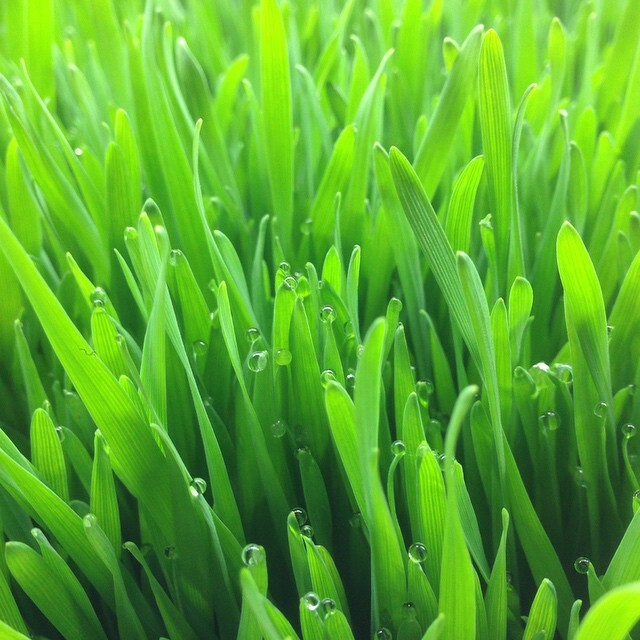 What is the wonder behind Wheatgrass? For those of you who may not know what Wheatgrass is, it is a variety of grass that has been used as medicine due to it’s therapeutic and medicinal properties. It comes in various forms: freshly juiced, dried juice concentrate, or whole leaf powder sometimes in tablet form. There are so many benefits to taking wheatgrass, but its most largely known roles are blood purification, liver detoxification, and colon cleansing. Other benefits include a boost in strength, endurance, spirituality, sense of well-being, aid in sore throat, tooth aches and gum healing, and neutralizing toxins from the body. When you take a shot of fresh Wheatgrass juice, some say they feel the hair on the back of their neck stand straight up. There is amazing power to fresh grass juice that researchers still cannot explain to this day. For good preventative measure, 4 ounces is what we like to recommend, but work your way up to that point first. For beginners, we recommend 1-2 ounces per day. For medicinal use, you should take 4-6 ounces or more per day. There have been many studies on grasses and their effectiveness on human health. Beyond that, the numerous success stories provide ample inspiration for wanting to pump yourself full of the stuff. Many people have turned to Wheatgrass after conventional medicine left them with no other option and it cured them within an amazingly short period of time. If you want to read about these stories, take a look at the book “Wheatgrass Nature’s Finest Medicine” by Steve Meyerowitz. This question is commonly debated, but many testimonials will bring you to believe that Juice is the best way to consume Wheatgrass. Famous healer Dr. Ann Wigmore used juice to heal many people at the Hippocrates Institute. She was the person who popularized indoor tray grown Wheatgrass. The reason here is that fresh live Wheatgrass Juice is a potent elixir of live enzymes which aid in the absorption of Wheatgrass in the body. These enzymes help the body digest the many nutrients Wheatgrass contains. Wheatgrass Powder does have more nutrients because it has been concentrated so it will contain more minerals, chlorophyll and vitamins. With all the studies performed on Wheatgrass, there has been decided that there is an unknown healing factor to the live juice of which they call the grass-juice factor. This grass-juice factor is believed to be responsible for healing miracles. This leads us to believe that juice is the best way to consume Wheatgrass. So… Why not take Wheatgrass? How did we start out? We’d like to tell you a quick story about how we started out on this journey of juicing and why it became known as Fully Rooted. Back in 2010, our dear friend Steve (the bald guy above) saw the documentary called A Beautiful Truth. Steve had been struggling with rheumatoid arthritis for over 30 years, which required many prescriptions and doctor’s appointments. This documentary introduced him to the story of Dr. Gerson and how he healed many diseases through juicing and diet. That very next day, he was gifted a juicer! 6 months later, Steve was off all medications! He influenced others to experience the power of juicing including us. Fast forward to March 2013 and you would find us at Grace Yoga’s open house (pictured above). The idea was formed between Judy and Steve to sell juice in effort to raise money for the studio. We had custom shirts, a beautiful table display, official-looking brochures, and a couple juice options. People responded extremely well to our presence and we were often asked, “where are you guys located?”, which still happens to this very day. The rest is history, as they say. We juiced at a yoga event following Grace Yoga which ultimately proved to us that we had what it took to start an official juice venture! We are so grateful for everyone’s support over the years and look forward to consistently growing and spreading the idea of juicing for good health and healing to as many people as possible.